407 Commonwealth is located on the north side of Commonwealth, between Massachusetts Avenue and Charlesgate East, with 405 Commonwealth to the east and 409 Commonwealth to the west. 407 Commonwealth was designed by Little and Browne, architects, and built in 1901-1902 by Connery & Wentworth, masons and builders, for textile mill owner William Amory and his wife, Louise Annette (Gaudelet) Amory. He is shown as the owner on the original building permit application, dated May 1, 1901. 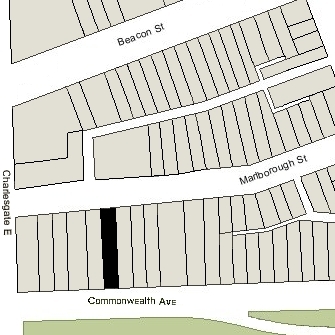 The rear of the lot on which 407 Commonwealth was built extends north to Marlborough Street and has a secondary street address of 456 Marlborough. Louise Amory purchased the land for 407 Commonwealth on February 27, 1901, from Walter G. Chase, who had purchased it on November 22, 1899 from John Malcolm Forbes, part of a 104.77 foot lot at 403-409 Commonwealth. J. Malcolm Forbes had acquired the lot on February 19, 1887, from Louis Curtis, who had purchased it on January 8, 1886, from a real estate investment trust formed by Francis A. Palfrey, Francis A. Osborn, and Grenville T. W. Braman. The lot was part of a tract of land the trust had purchased on June 1, 1880, from the Boston Water Power Company. Click here for an index to the deeds for 407 Commonwealth, and click here for further information on the land west of Massachusetts Avenue between the south side of Beacon and the north side of Commonwealth. 407 Commonwealth was built with windows in the eastern party wall with shutters which opened over the house at 405 Commonwealth. On November 22, 1901, Louise Amory entered into an agreement with Mary DuBois, owner of 405 Commonwealth, specifying that the owner of 407 Commonwealth was to remove the windows and shutters if requested to do so at any time by the owner of 405 Commonwealth. Mary DuBois entered into a similar agreement with Samuel Carr, owner of 403 Commonwealth, which also had a window in its party wall with 405 Commonwealth. By the 1902-1903 winter season, William and Louise (Gaudelet) Amory had made 407 Commonwealth their home. They previously had lived at 478 Beacon. William Amory died in June of 1907. Following his death, Louise Amory moved to an apartment at the Hotel Agassiz at 191 Commonwealth. She continued to own 407 Commonwealth. 407 Commonwealth was not listed in the 1908 and 1909 Blue Books. By the 1909-1910 winter season, it had become Louise Amory’s home once again. Her daughter, Harriet Sears Amory, lived with her. 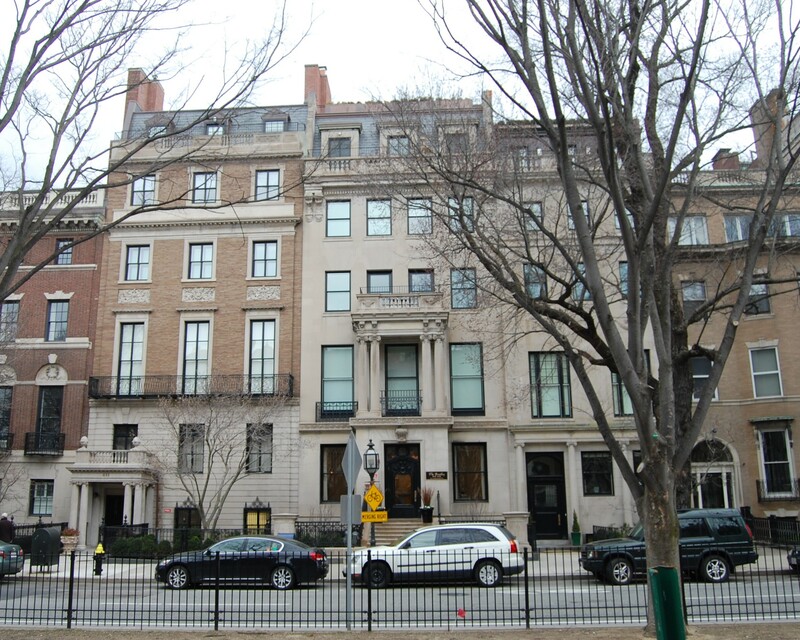 During the 1912-1913 winter season, Louise and Harriet Amory were traveling abroad and 407 Commonwealth was the home of William Phillips and his wife, Caroline Astor (Drayton) Phillips. They also maintained a home, Highover, in Beverly. They previously had lived in London, where he had served as Secretary of the American embassy. By 1914, they had moved to 79 Mt. Vernon. Louise and Harriet Amory had resumed living at 407 Commonwealth by the 1913-1914 winter season. During the 1918-1919 winter season, they were in Washington DC and 407 Commonwealth was the home of Henry Dwight Sedgwick and his wife, Sarah Mary (Minturn) Sedgwick. They previously had lived at 6 Acorn. A former lawyer in New York City, he was an author, primarily of biographical works. Sarah Sedgwick died in January of 1919, and by 1920 Henry Sedgwick was living in Cambridge. On May 20, 1920, Harriet Amory’s 22nd birthday, Louise Amory transferred 407 Commonwealth into her name. Harriet Amory married in June of 1922 to Warwick Potter, an investment counselor. After their marriage, they lived in Greenwich, Connecticut. On February 24, 1923, Harriet Potter transferred 407 Commonwealth back to her mother. During the 1924-1925 winter season, the Potters joined Louise Amory at 407 Commonwealth. 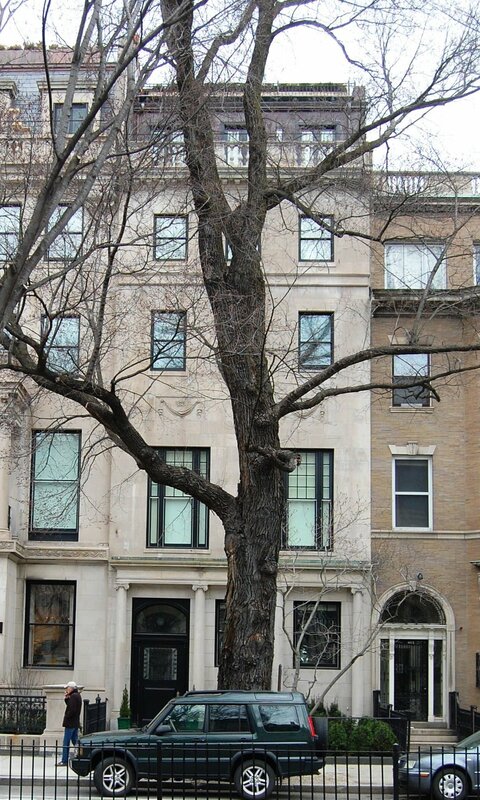 Louise Amory continued to live at 407 Commonwealth during the 1925-1926 winter season, but moved thereafter to 68 Beacon. On August 27, 1926, 407 Commonwealth was purchased from Louise Amory by Katharine Moore (Dexter) McCormick, the wife of Stanley R. McCormick, son of Cyrus McCormick, inventor of the reaper and founder of the International Harvester Company. They had married in 1904, and two years later he was hospitalized with mental illness and spent the rest of his life under care in Santa Barbara, California. He died in January of 1947. Prior to her marriage, Katharine McCormick had lived at 393 Commonwealth with her mother, Josephine (Moore) Dexter, widow of Wirt Dexter. By 1910, she had resumed living with her. She also maintained homes in New York and Santa Barbara. She was an active supporter of woman’s suffrage, women’s education, the League of Women Voters, and family planning. 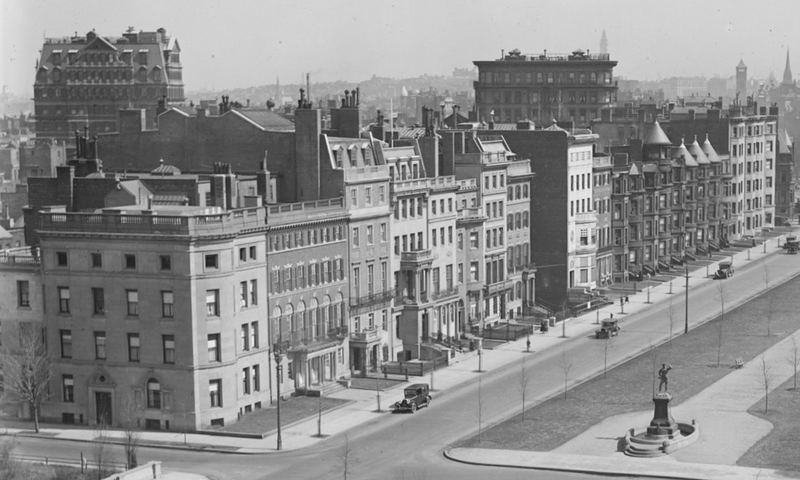 Katharine McCormick made 407 Commonwealth her Boston home. Her mother continued to live at 393 Commonwealth. They also maintained a home, Prangins, outside of Geneva, Switzerland, which Josephine Dexter purchased in 1929. Josephine Dexter died in November of 1937. Katharine McCormick continued to live at 407 Commonwealth and to maintain Prangins in Switzerland and a home in Santa Barbara. She also owned her mother’s former home at 393 Commonwealth, apparently leaving it vacant until about 1952, when she moved there from 407 Commonwealth. 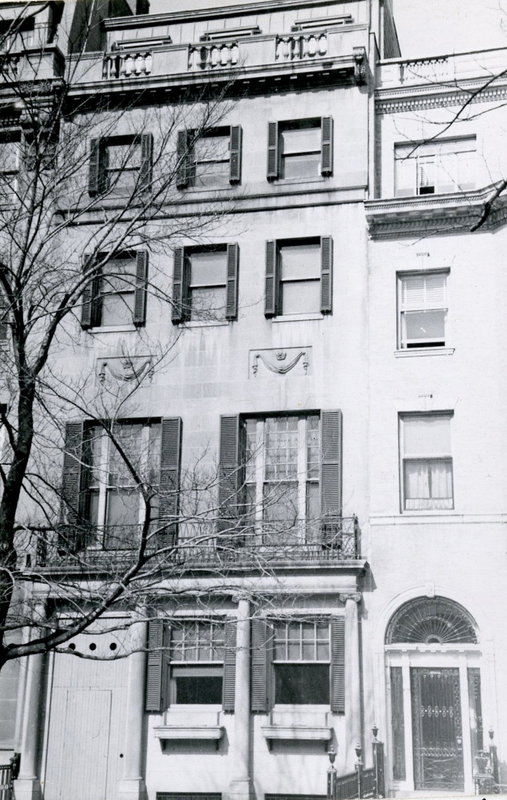 In May of 1954, Garland School filed for (and subsequently received) permission to convert 407 Commonwealth from a single-family dwelling into a dormitory, and also to cut openings in the party wall, connecting it with 409 Commonwealth.